Biofuels are combustible fuels created from biomass; in other words, fuels created from recently living plant matter as opposed to ancient plant matter in hydrocarbons. The term biofuel is usually used to reference liquid fuels, such as ethanol and biodiesel that are used as replacements for transportation fuels like petroleum, diesel and jet fuel. Biofuels can also include solid fuels like wood pellets and biogas or syngas – however in this summary we will focus on liquid fuels. Biofuels are grouped by categories - first generation, second generation, and third generation – based on the type of feedstock (the input material) used to produce them. 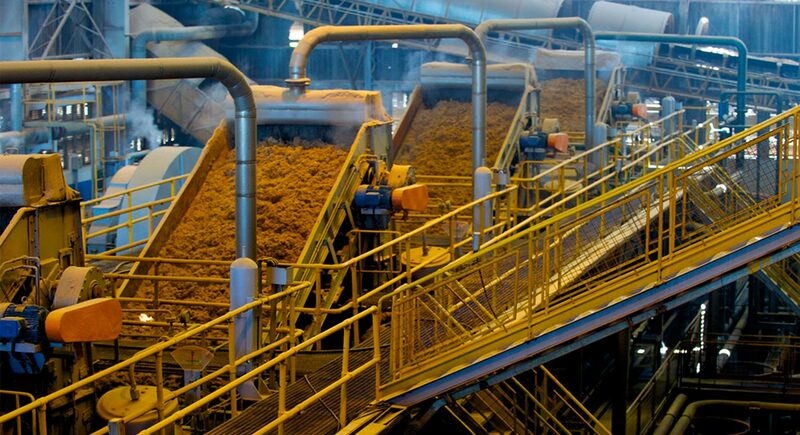 Second generation biofuels are produced from cellulosic material such as wood, grasses, and inedible parts of plants. This material is more difficult to break down through fermentation and therefore requires pre-treatment before it can be processed Naik, S. N., Goud, V. V., Rout, P. K., & Dalai, A. K. (2010). Production of first and second generation biofuels: a comprehensive review. Retrieved from http://www.sciencedirect.com/science/article/pii/S1364032109002342# Naik, S. N., Goud, V. V., Rout, P. K., & Dalai, A. K. (2010). Production of first and second generation biofuels: a comprehensive review. Retrieved from http://www.sciencedirect.com/science/article/pii/S1364032109002342# . In addition, the term “Advanced Biofuels” is used to describe the relatively new technological field of biofuel production that uses waste such as garbage, animal fats, and spent cooking oil to produce liquid fuels. Biofuels are not as energy dense as conventional transportation fuels. 1 gallon of biodiesel has 93% of the energy of 1 gallon of diesel and 1 gallon of ethanol (E85) has 73% of the energy of 1 gallon of gasoline Alternative Fuels Data Center – Fuel Properties Comparison http://www.afdc.energy.gov/fuels/fuel_comparison_chart.pdf Alternative Fuels Data Center – Fuel Properties Comparison http://www.afdc.energy.gov/fuels/fuel_comparison_chart.pdf . Biofuels are currently the only viable replacement to hydrocarbon transportation fuels. Because biofuels can be used in existing combustion engines, minimal changes to infrastructure are required for their implementation Janaun, J., & Ellis, N. (2010). Perspectives on biodiesel as a sustainable fuel. Retrieved from http://www.sciencedirect.com/science/article/pii/S1364032109002913 Janaun, J., & Ellis, N. (2010). Perspectives on biodiesel as a sustainable fuel. Retrieved from http://www.sciencedirect.com/science/article/pii/S1364032109002913 . This is their most prominent advantage as concerns about the environmental impacts of fossil fuels continue to rise. In regions that do not have hydrocarbon resources but do have suitable agricultural conditions, biofuels provide an alternative to foreign fuel imports. They also come from a wide variety of sources and therefore can be produced in many regions. While there is some dispute over just how “renewable” biofuels are, it is generally accepted that the crops used to produce them can be replenished much faster than fossil fuels. Concerns about biofuels are usually centered around the fact that they are an agricultural product Demirbas, A. (2008). Biofuels sources, biofuel policy, biofuel economy and global biofuel projections. Retrieved from http://www.katedra.technologia.gda.pl/dydaktyka/archiwum/13-14/2/s/easm_tos/pdf/Seminarium_3_1A_2A.pdf Demirbas, A. (2008). Biofuels sources, biofuel policy, biofuel economy and global biofuel projections. Retrieved from http://www.katedra.technologia.gda.pl/dydaktyka/archiwum/13-14/2/s/easm_tos/pdf/Seminarium_3_1A_2A.pdf . One key concern about biofuels is that crops grown for fuel production compete with other natural resources, particularly food and water. First generation biofuels use only edible crops which has led to biofuel crops displacing food sources in some regions. In many regions of the world, subsidies are provided for these crops which only amplifies these issues. In addition, increased agriculture of any form often comes with concerns of deforestation, water and fertilizer use, which all have their own respective environmental and climate impacts.